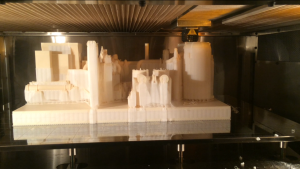 3D Print Western is happy to offer you one of the largest FDM rapid prototyping services across Canada and the US. 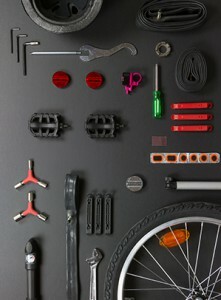 3D printing is reshaping the way we test product designs and engineering prototypes for fit, form, feel, and function. 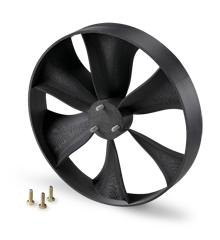 We boast a FDM 3D print volume of 36″ x 24″ x 36″. 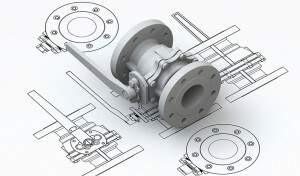 Our extra large rapid prototyping services will bring your biggest prototypes to life! Rapid Prototyping Services- 3D printing allows you to have a working model of your prototype in your hands before going into production. Test, critique, feel, and tweak your design before it is too late. Show your clients a physical object, not a computer screen. Minimum commitment, maximum results. Have your design in hand within days. Functional Parts – Having difficulty sourcing a part? There’s a minimum order of 100 and you only need 1? Need a highly customized part to get the job done? Forget traditional methods, 3D print it instead. Get what you want, when you want, and the exact amount you need within a matter of days rather than weeks or months. 3D printing allows you to eliminate pricey startup fees and minimum orders. Manufacturing Tools – Jigs, dies, moulds, fixtures, gauges, and patterns have never been so easily custom built for your manufacturing process. Our partner, TK Truckbody, is using 3D printed jigs and fixtures everyday to optimize their workflow and minimize downtime. Scale Models – Leave hard to visualize computer models in the dust. 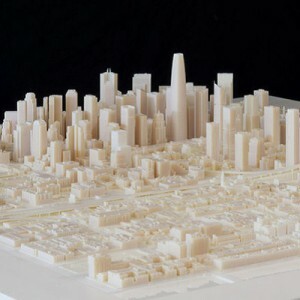 Show your clients a 3D printed scale model of your project for the ultimate first impression. Sell your idea with a tangible model that customers can see and touch. Extreme resolution and virtually limitless design possibilites. Express intricate details in a variety of colors. ABS-M30 is engineered for rapid prototyping with FDM technology. This go-to, cost effective plastic is an all around crowd pleaser. This colorful, general use plastic brings your project to life in the exact way you’ve envisioned it. Download ABS-M30 spec sheet. ASA has stepped up and claimed its spot as the new-and-improved ABS-M30. ASA has either matched or exceeded ABS-M30’s mechanical properties in every category. The amazing surface finish, full rainbow of color options, and strong UV resistance is quickly making ASA the go-to favorite for cost effective prototyping. Download ASA Spec sheet. 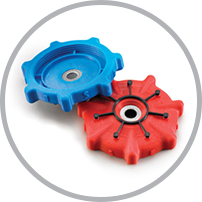 The highest impact strength and flexibility of any FDM thermoplastic. Nylon boasts superior fatigue resistance and is the perfect choice for flexible and repetitive applications like snap fits. Download Nylon 12 FDM Spec sheet. 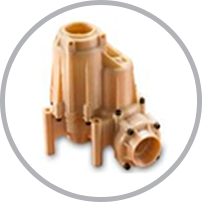 The highest heat resistance, chemical resistance and tensile strength of any FDM thermoplastic. ULTEM’s FST (flame, smoke, toxicity) ratings, food-contact certifications and biocompatibility make it ideal for rapid prototyping advanced parts in automotive, medical, and transportation industries. Download ULTEM 9085 Spec sheet. All materials (with the exception of ULTEM’s breakaway supports) have a soluble release (SR) support material. 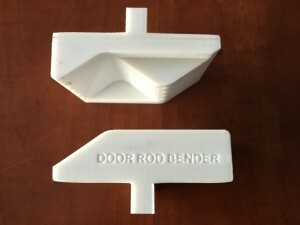 The soluble support material is used alongside the main model material during prints. 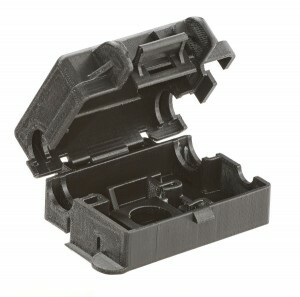 The dual printer heads allows for extrusion of both model material and support material in each layer. The finished part is then placed in our cleaning bath which dissolves the supports, leaving a perfect, untouched model behind. Soluble release technology virtually eliminates design limitations. You can now 3D print hollow structures and moving parts within models. Parts can be stacked on top of each other, separated by thin layers of support material. Undercuts and overhangs can easily be made, and no draft angles are required. Go here to compare all available FDM thermoplastics. Fused Deposition Modeling (FDM) relies on an additive principle of laying down very thin strips of material. 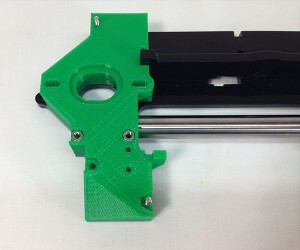 A plastic filament is passed through a heated printer head and quickly melts to a liquid state. The printer head moves in 2 directions (much like a paper printer), laying down the liquid plastic. The plastic quickly cools to solid (like ink). After a layer is completed, the print platform lowers down, adding the third dimension to printing. The next strips of material are placed on top of the original strips and the part is built layer by layer, from the bottom up. Here you can see 3D Print Western’s own FDM printer in action. This postcard holder is being built from the bottom up, layer by layer. A support material can be used within the model so that extreme angles, overhangs, lofts, and complex geometry can be 3D printed. Nearly every geometrical feature imaginable is possible with our rapid prototyping services. Our soluble supports dissolve away in a bath after the part is complete, leaving a perfect model behind. Soluble support technology makes rapid prototyping a dream, and 3D Print Western would love to help your dreams come true!